A proposed amendment to revise lime rock mining regulations in Lee County is causing concern for some Southwest Floridians. 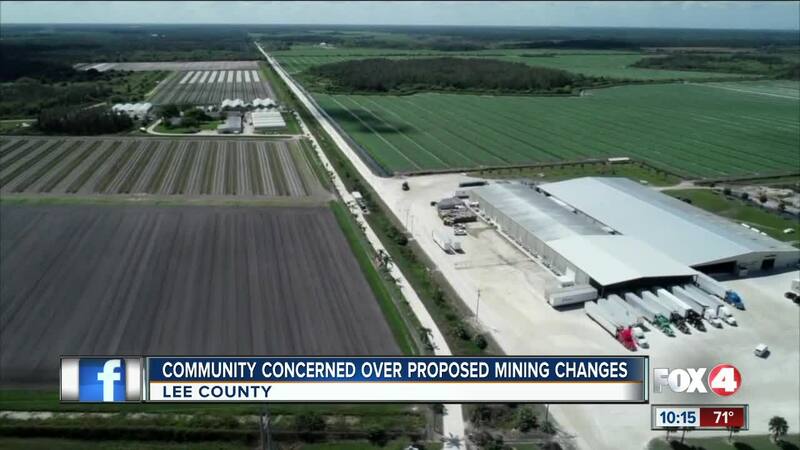 LEE COUNTY, Fla. -- A proposed amendment to revise limerock mining regulations in Lee County is causing concern for some Southwest Floridians. Wednesday Lee County hosted an open house to answer any questions and misconceptions they might have. “We don’t think it weakens the process we think it streamlines it and makes it more legally defensible,” said Doug Meurer, Lee County Assistant County Manager. If approved it would eliminate map 14, a locator for mines, which some are afraid it would limit their voice, “if i can’t speak to my elected officials about this new zoning issue, then i have no way of publicly participating in that process,” said Meredith Budd, Florida Wildlife Federation. Budd and others are worried it would reduce mine regulations. “No new mines are needed, and lee county is eliminating those rules so they can permit more mines,” said Greg Stuart, Stuart and Associates. “That simply isn’t true there is a whole section within land development code that contains the same regulations that have been there for years,” Roger Desjarlis, Lee County Manager. This amendment would also remove the mine supply report, “well without that how can you make a good judgment of whether or not a lime rock application should be approved is there a need for it,” said Robert King, Collier County. People are also concerned about impact to water supply, wildlife, and environment but the county says those are all still protected. The Lee County Commissioners will be voting on this proposal at its meeting Wednesday, April 17th at 9:30 am.